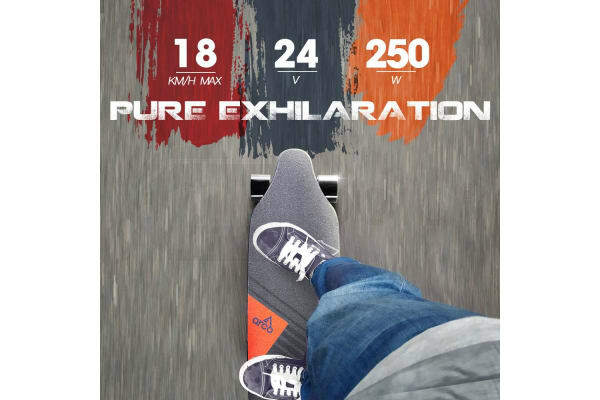 Introducing the BULLET® Arco Electric Skateboard. 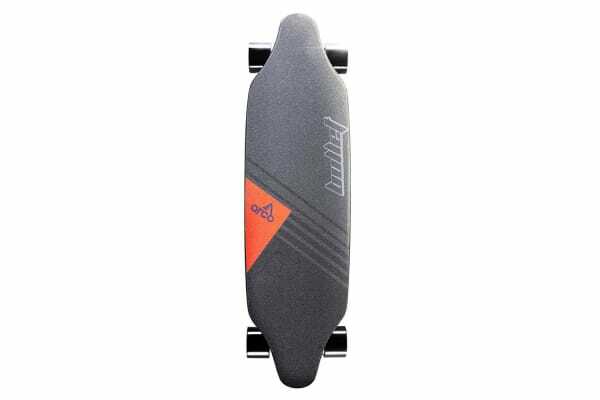 A combination of innovative technology and quality materials in a 7-ply Maple mini longboard design, for carving to your destination without breaking a sweat. At only 7kg it’s a synergy of power and portability. The Arco motorised skateboard comes with a wireless thumb-controlled remote for selecting from 2 speed modes, and activating smooth acceleration and braking. The heart of the Arco is a powerful 250W brushless motor and 24v 2.2Ah battery. Getting from A to B will be redefined by speeds of up to 18km/h, and a range of up to 10km. When you arrive, the Arco can be recharged in just a few hours, and the remote can be conveniently charged via USB when necessary. The Arco also comes complete with a Multifunctional Skate Tool so that you can adjust the trucks to your preference. BULLET® Arco - Redefine your Commute. Note: Check your local authorities in regards to where usage is permitted. This product is to be used only on safe, smooth hard surfaces, by someone of an appropriate skill level. We strongly recommend the use of safety equipment such as helmet and knee pads.